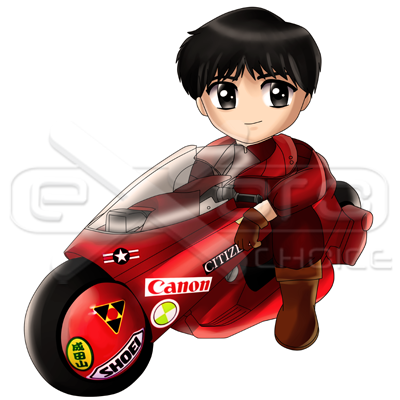 Exoro Choice’s Chibis – Shotaro Kaneda is the protagonist of Akira. He is a brash, carefree teenage delinquent and the leader of a motorcycle gang known as The Capsules. Kaneda is best friends with Tetsuo, a Capsule member whom he’s known since childhood, but that friendship is shattered after Tetsuo gains and abuses his psychic powers. 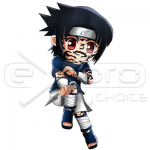 He becomes involved with the underground resistance and falls in love with their member Kei. During the events of volume 3, Kaneda is enveloped by the explosion caused by Akira and according to Lady Miyako, he is beyond this world. SKU: CHMO-AKI01. 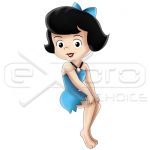 Categories: Chibi, Movies. 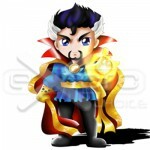 Tags: akira, Akira Chibi, Chibi, chibi design, chibis, create mascots, cute, graphics, mascot designs, sales page.